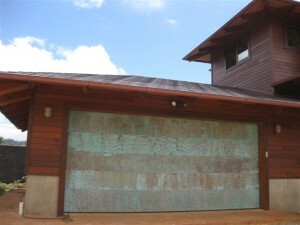 Using our online Design Center, you can see exactly what your customized garage doors will look like. You can try out a complicated panel design or experiment with different colors and materials. See if the look of real wood really does justify the extra expense and maintenance. Using decorative hardware, you can add even more detail and interest to your garage door and make sure it matches the rest of your home. No matter what type of custom garage doors Ventura CA you may ultimately decide on, they will definitely need professional installation. If your installer makes a mistake, it could potentially shorten your garage door’s life. For instance, failing to set the garage door spring tension correctly can cause the garage door to fall and become damaged. When you work with Carroll Garage Doors for your custom garage door design and installation, you don’t have to worry about these kinds of problems. Our rigorous training means that our technicians have the skills and expertise needed to install your new custom garage doors correctly and set them up for a long and useful life.